Coed doubles leagues for players of all skill levels! Whether you are an experienced tennis player or beginner, this doubles league may be right up your "alley"! Doubles teams will play a different team each week. Sign up on your own and well match you up or register your doubles team. Coed teams must consist of at least one female player. It is a great way to meet a lot of local tennis players as well as playing some competitive tennis. Tennis balls will be provided each week. Played at great facilities in both Tampa and Clearwater. Check out our LEAGUE LIST HERE! Filter by LOCATION, DAY OF WEEK, and SPORT so you can see exactly which leagues are the best fit for your schedule! New leagues and location are added all the time and league are played year round - usually 4-5 seasons a year. Our goal is to get your playing and to GET OUT, GET ACTIVE, & MEET NEW PEOPLE! If you have any questions about Club Sport leagues or how to sign up, call us at 877-820-2582 ext 2 or EMAIL US! Form a team...it's easy as 1, 2, 3! Get your friends together and FORM A TEAM today! Just go to the registration page, choose your league, and submit your team info. Guarantee your spot with your credit card and then request payments from your team with our Team Payer option. At the registration deadline your card will only be charged whatever balance is remaining. You can assign whatever payments you need per player on your team. Plus - signing up a team SAVES MONEY versus everyone signing up on their own...It's that easy! On your own? We'll help! If you don't have a team, no problem - we specialize in placing "FREE AGENTS"! Depending on availability we can help find you a team. Just sign up online and guarantee your spot with a credit card. We won't charge your card unless we find a team for you! If you're not placed, no worries, you won't be charged. Individuals and small groups of friends not already part of a full team should note all of your friends in the "Players to be Teamed With" box and we'll place you on the same team. SIGN UP FOR A LEAGUE TODAY! If you don't know anyone and want to get a team together (or as a captain need a player? 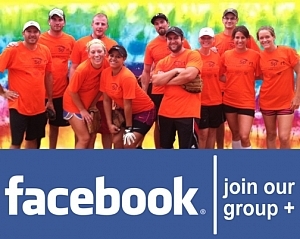 ), hook up with other players on our Facebook group JUST FOR A SPECIFIC SPORT. We'll post specific openings, deals on leagues, and teams in need of players here.